When a tree needs to be cut down Wood Acres Tree Specialists use stringent performance standards for quality and safety. If the tree presents a hazard to people and property and cannot be saved by accepted arboricultural practices. 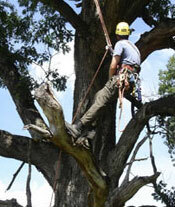 Tree removal is the most hazardous job performed by tree service companies. At Wood Acres our arborist representatives evaluate the tree(s) and the site involved. 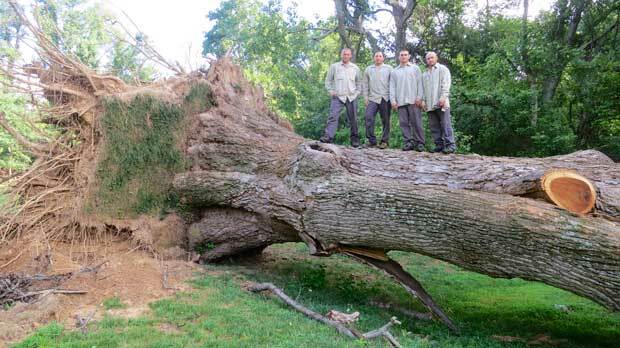 Our tree crews are skilled, experienced and efficient at safely removing hazardous trees. 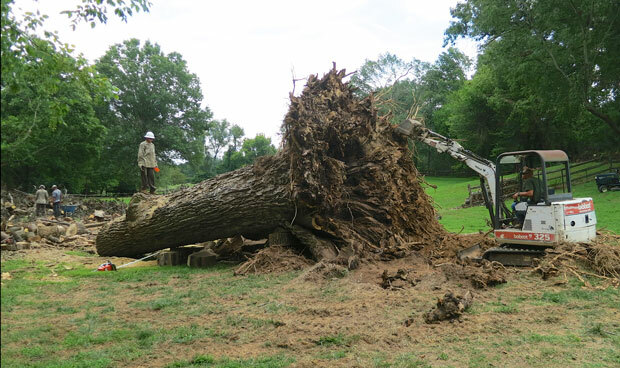 The average tree removal requires $100,000 - $500,000 worth of equipment on site. In addition, our tree cutting crews have continuing safety training in the art and science of tree & stump removal for these difficult tasks. 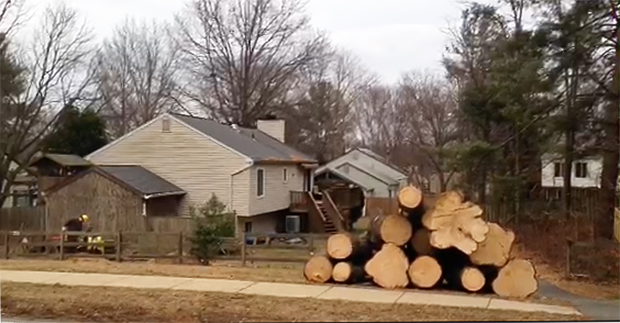 In short, Wood Acres is prepared to cut down trees both large and small. 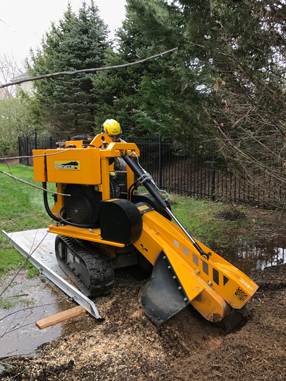 After cutting the tree(s) down, you can be assured that Wood Acres Tree Specialists will provide a thorough clean up of debris and cause minimal disruption to the surrounding area and landscape.